Thanks for your interest in the teaching team. 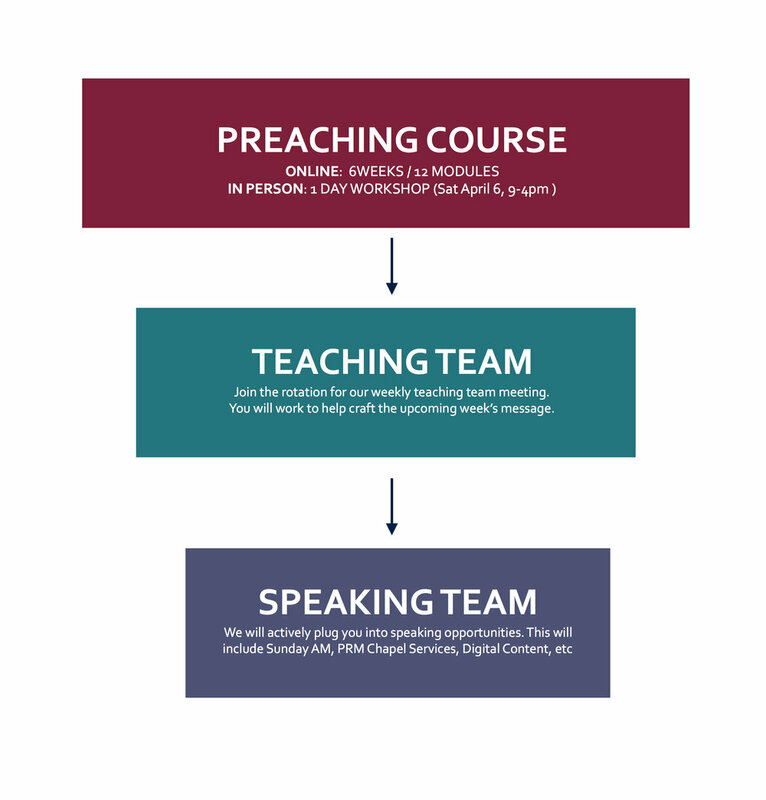 When you register, you will be added to the online preaching course. You will need to create a personalized login on our online platform called Trained Up. After you register, feel free to start working through the material. Here is the suggested training schedule. Thanks so much for registering. Before we can add you to the course, you need to create an account on Trained Up by clicking HERE. Can’t wait to go through this process together.